Yoga is so much more than a physical practice- it is a way of life. Learn the true meaning of Yoga. “Yoga Beyond Asana: The Complete Guide to Blissful Life” is an elegant guidebook for any and all yoga practioners, from beginners to skilled. With a 30 day spiritual planner, you’ll be able to journal your progress and actually see the transformational path you’re on. “Yoga Beyond Asana” is more than just your typical yoga instruction…it’s a way of living and being. Drawing on her three decades of experience as a yoga and meditation practitioner, Kalra shows us how yoga is not only a physical exercise, but is also a holistic approach to attain oneness of body, mind, and spirit. As yoga grows in popularity…with over 20 million people actively practicing it in the USA alone…the daily step by step‘meditations’ included in the book take the reader on a beautiful and purposeful journey toward peak potential, an elevated level of consciousness, and peace of mind. 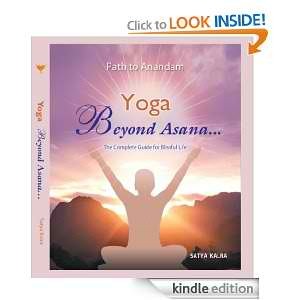 Check out what people are saying about “Yoga Beyond Asana…” on Amazon.com: Read More..